These are two Brazilian lacquers that I got from my lovely friend Sarah who runs the blog Them Pretty Colors. Sancion Angel got wind of the holographic trend and decided to put out some of their own colors, all named after fictional heroines. I have been wanting a yellow holographic polish forEVER and red holos are so rare that I begged Sarah to try to get me these babies. 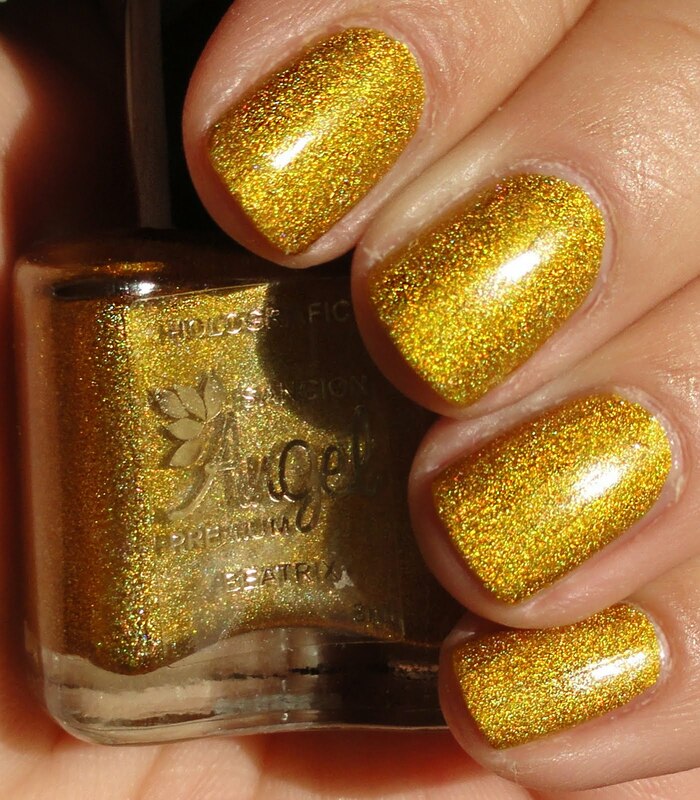 Beatrix is the yellow polish, named after Uma Thurman's character Beatrix Kiddo in the Kill Bill films. They are by my favorite director, Quentin Tarantino, so that makes me love this polish even more. I imagine they named this one Beatrix as one of her outfits in the first Kill Bill film was a yellow motorcycle outfit. This yellow is slightly warm toned, maybe not one that would look great on everyone but I love it on me. This is two coats. 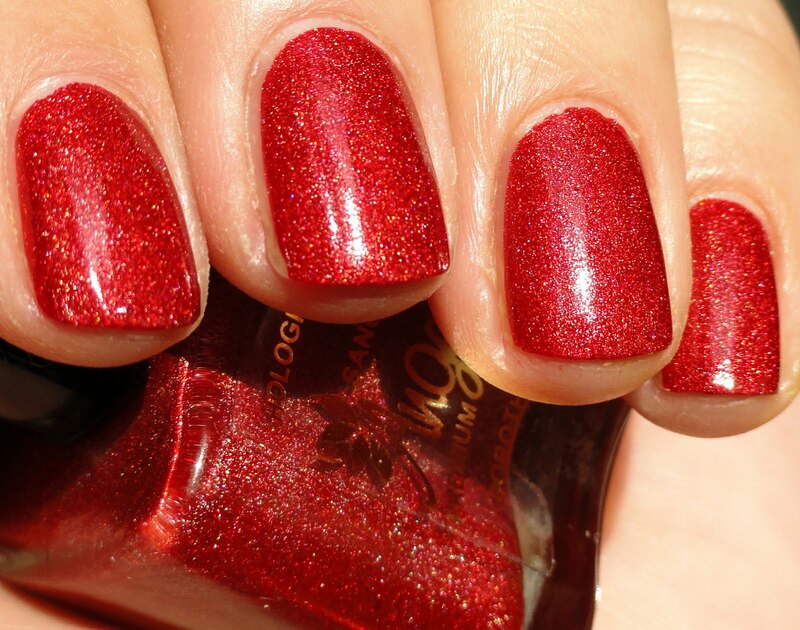 Dorothy is from The Wizard of Oz; the polish is red, most likely because of Dorothy's iconic ruby shoes. This polish was slightly less holo than I would care for in a perfect world, but it is nicely pigmented and I only needed one coat. These bottles are tiny, only 8ml, and a bit hard to get unless you are in Brazil, but the other colors in this series are just as fun. I want to get them all! Especially Neytiri (blue like the Avatar girl), Luna (indigo for Luna Lovegood, yay for Harry Potter! ), Holly (silver for Holly Golightly from Breakfast at Tiffany's), and Ariel (turquoise for the Disney mermaid).